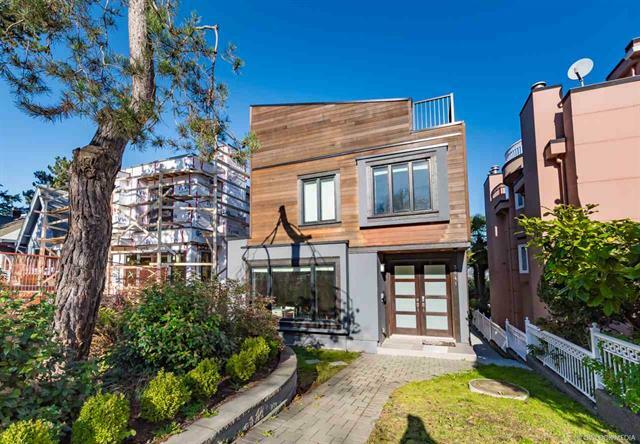 180 DEGREE GORGEOUS OCEAN, MOUNTAIN & CITY VIEWS in the great location on the prestigious Point Grey. Customer built with 3 spacious bedrooms with private bathroom, air conditioning, geothermal heating system, giant private roof top with magnificent views and a separated entrance to 3 bedrooms basement. School catchments are Queen Elizabeth Elementary and Lord Byng secondary, many private schools are available nearby and furthermore, an effortless 6 minutes of driving to UBC.